Welcome to the Parents Community Page. This page will provide parents and guardians with quick links and helpful information. For access to a complete guide of parent resources, please log in to your secure Parent Portal page. When logged in, you may view important forms, tuition and billing information, after-school program sign up, parents directory, transportation information and much more. Are you a new parent? Click here for instructions on how to obtain your username and password to log in to the Parent Portal. Should you have issues logging in or questions about the parents page, please contact communications@ljcds.org. Welcome to La Jolla Country Day School! As a parent or guardian of an LJCDS student, you are automatically a member of the La Jolla Country Day School Parents Association (PA). The Parents Association is involved in many aspects at school including faculty and staff appreciation events, Booster Club, Torrey Fest, Blue Bash (our annual gala) and the Arts Alliance. We have monthly “meetups” where we come together on campus and share school updates, showcase many student-involved activities, discuss books and enjoy speakers. The PA’s goal is to bring our school together as a close-knit community, and we can’t do that without YOU! As PA president, I encourage you to learn more about what we do on campus and see how you can get involved. There is truly something for everyone to do and feel included even if you work full time or live a good distance away. Please contact me with questions, I’d love to hear from you. 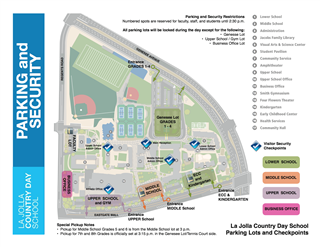 The La Jolla Country Day School campus has 462 parking spaces, more than an adequate number to handle the routine needs of faculty, staff, students and visitors. However, with more than 1,200 teachers and students coming and going each day, we have set rules and procedures to assure safety and order. Click here to view detailed information on parking and arrival. 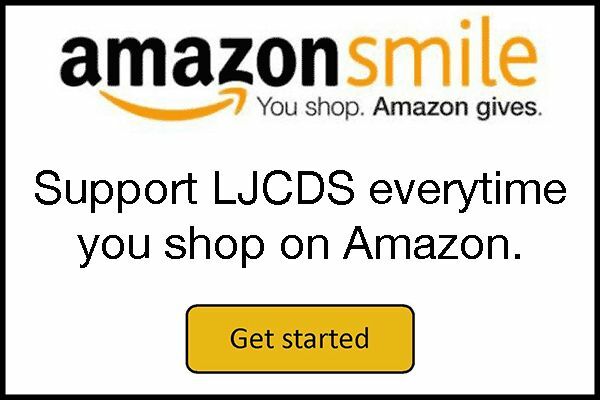 Contact John Lofton at jlofton@ljcds.org with any questions. The Jacobs Family Library is a central and integral part of the school community, offering an extensive reading and research collection and providing services to the entire school community. The library is vital to the school’s mission of developing lifelong learners. Click here to access our library page. Assembly Bill 500 (AB500), effective January 1, 2018, adds section 44050 of the California Education Code, which requires schools to provide the section on employee interactions with pupils in its code of conduct, to parents and guardians of enrolled students on the School’s website. The following document shares portions of the School policies, which are included in the School’s Employee Handbook, including language relating to interactions between pupils and employees. Click here to find the necessary medical administration forms needed for the upcoming school year. Contact Nurse Jan Capon, jcapon@ljcds.org if you have questions.